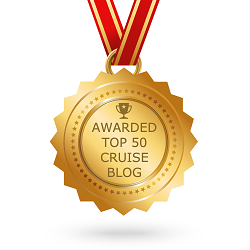 My blog today is more of a book review/recommendation as I was recently sent a copy of ‘A Photographic History of P&O Cruises’ and it is fantastic! The book is quite literally packed, from front to back cover, with wonderful photographs – from the days of Tagus (Britannia) to Ventura – fascinating information and a real deep historical overview. Canberra, everyone’s favourite ship! The book has many lovely photographs of her and plenty of information to go with them. There are images of her from her maiden arrival into Melbourne, alongside in Southampton with Cunard’s Vistafjord, interior images, and the one I love the most: one of her docked in Southampton with the new Oriana sailing passed her. Two iconic sisters side-by-side. 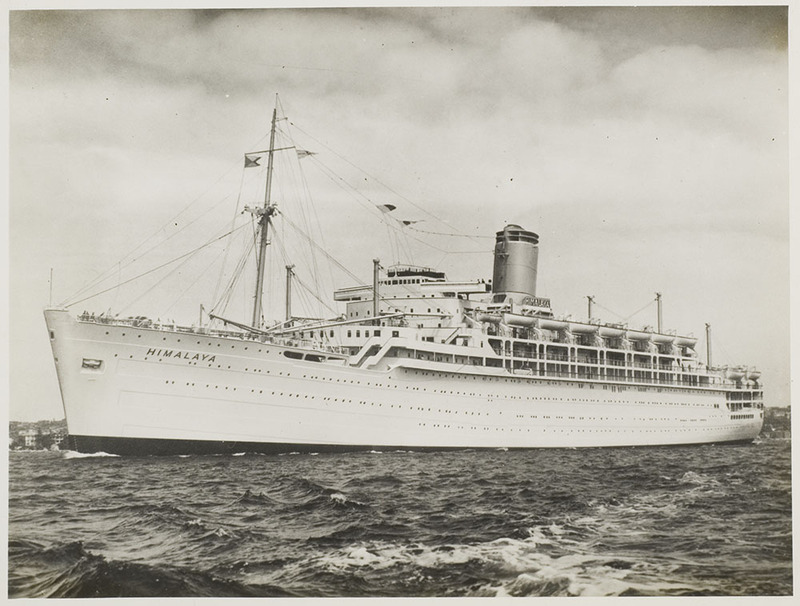 Himalaya also features, she was the first post WWII passenger ship built by P&O. She was one of those rare ships that had that indefinable ‘soul’ and immediately captured all who sailed on her. 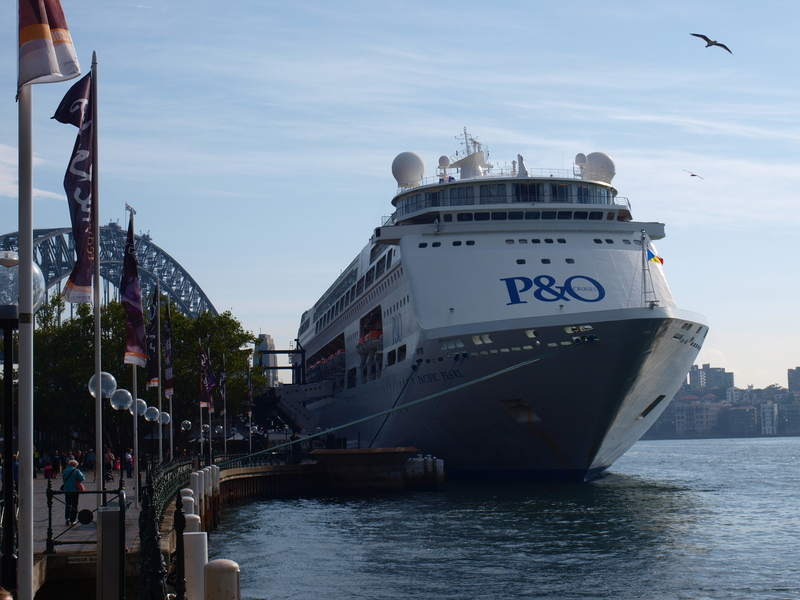 We also have a glimpse at some of the newer vessels within the P&O Cruises Australia fleet, including this one of Pacific Pearl berthed at Circular Quay in Sydney. 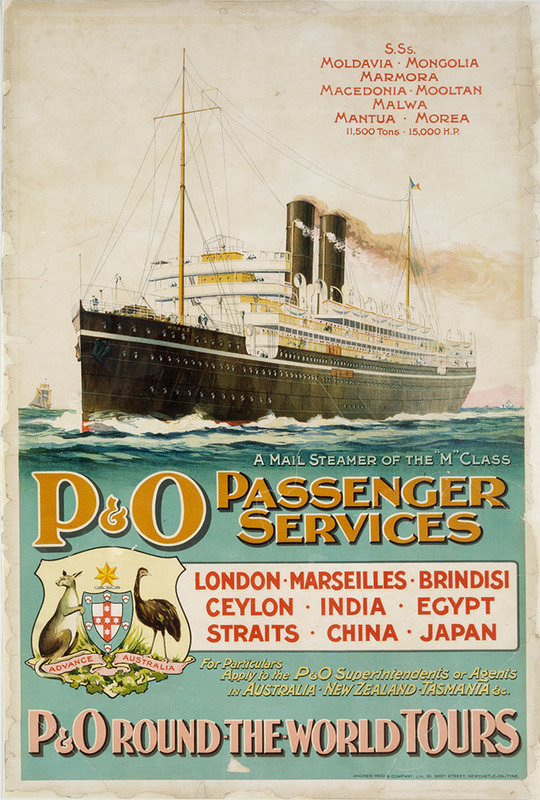 Also featured are some of the original P&O advertising posters. This one from 1910 depicts the traditional fortnightly service between England and Australia. There were 10 ‘M’ class ships and the Mantua, which is mentioned on the poster, was THE ship to cruise on out of London and Southampton both before and after WWI. The first P&O ship to make a westbound transit of the Suez Canal was the 2,200 ton Nubia on 3 April 1870. Victoria, Britannia and Oceana were fitted with gun platforms even during regular service. This meant that if the ships were called into military service, it was simply a case of installing the guns alongside, rather than having to place the ship into a lengthy refit. By 1886, P&O had 71 vessels; comprising 50 ships, steam tugs and launches. In 1939 a passenger, who apparently loathed music, travelling aboard Strathaird, gathered up all the instruments of the ship’s musicians and threw them overboard in the early morning hours while the rest of the ship slept. A P&O liner carrying the Royal Mail always had right of way over other vessels. 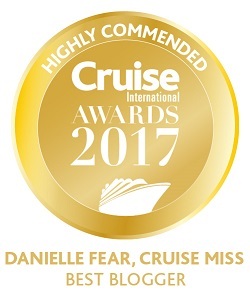 While the British P&O Cruises fleet has been re-registered in Hamilton, Bermuda, the Australian fleet remain registered in London, England. 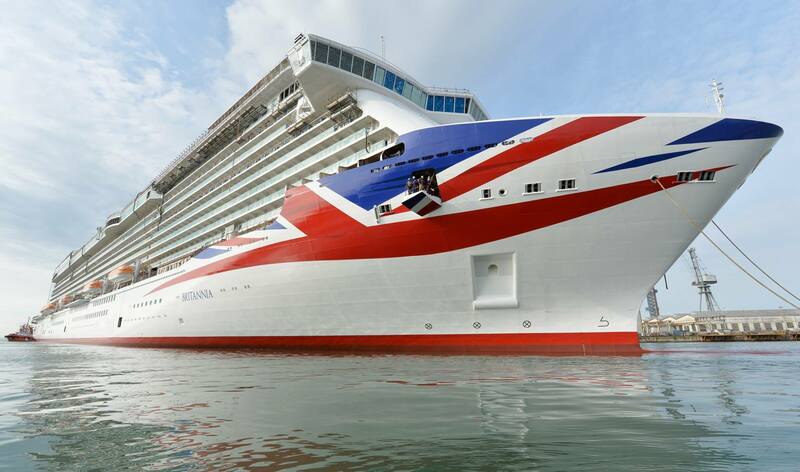 The book ends with a mention of P&O Cruises newest ship, Britannia, and with her image is exactly how I am going to end my blog today. 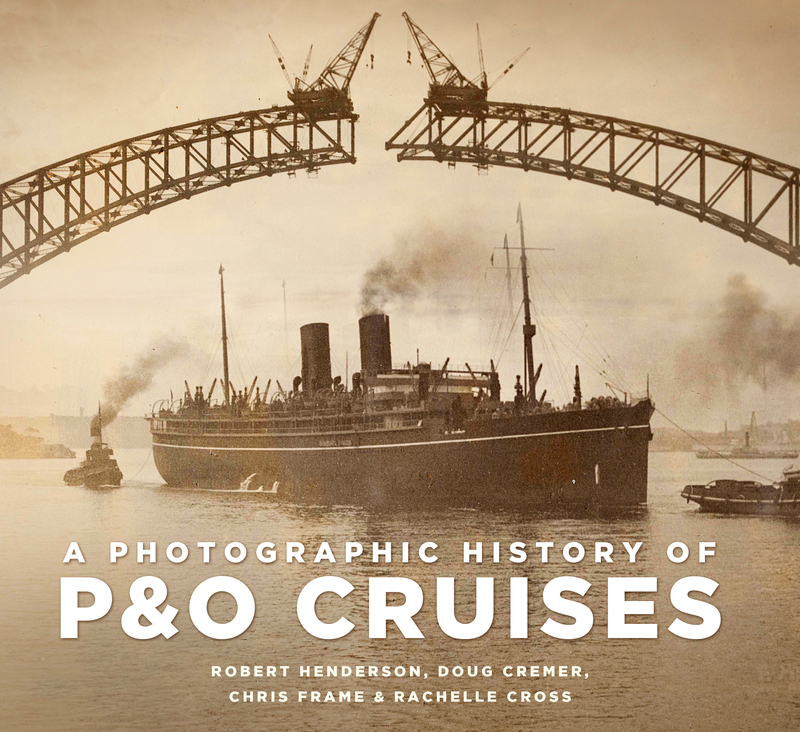 A Photographic History of P&O Cruises would make a wonderful gift for a cruise ship enthusiast (or as a little gift to yourself 😉 ) and I would definitely recommend a copy. It is available to buy online from Amazon. 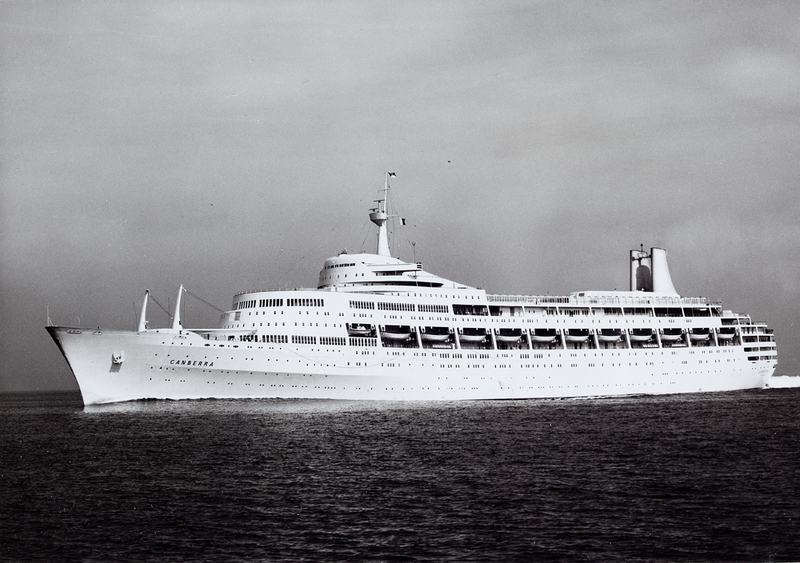 All the information and images within my blog today are taken from A Photographic History of P&O Cruises by Robert Henderson, Doug Cremer, Chris Frame and Rachelle Cross. 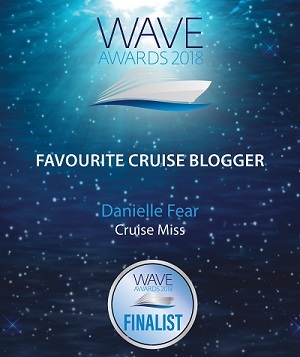 Thank you Danielle for such a wonderful review of our latest book. 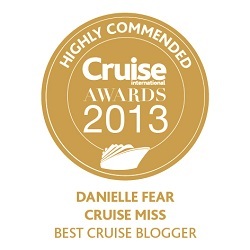 We are very proud of how it turned out and am very glad you enjoyed it!